"the politically correct need not apply." really? much to the hew and cry of all the trolls, stump-thumpers, prognosticators, and end-is-nighers, games workshop has released it's annual report. 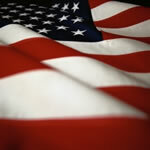 you can find it at their investor site here. mark wells (the gw ceo) mentions that in finding the right employees: "the politically correct need not apply" (i envision plenty of serious human resources conversations coming from this one). for a clearer and more in depth look at the report from someone who knows how to read the damn things, jump over to dukes inferno and read his translation. you can see that most of the block coloring is done. the finished paint scheme will be pretty dark, grimy, and dirty, as i want my pistol wraiths to look like gunslingers exhumed and reanimated with dark powers. while the scarves here on both look pretty bright eventually they'll be dimmed down with a couple of ink washes merely hinting at the fact that these wraiths were cygnaran gun mages forced into unlife to wield their weapons and skill in service to the dragonfather. 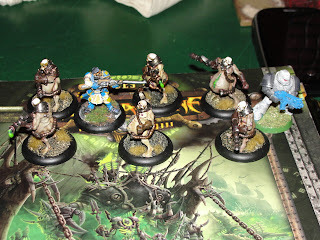 last november i added a new hobby game to the mix: warmachine. 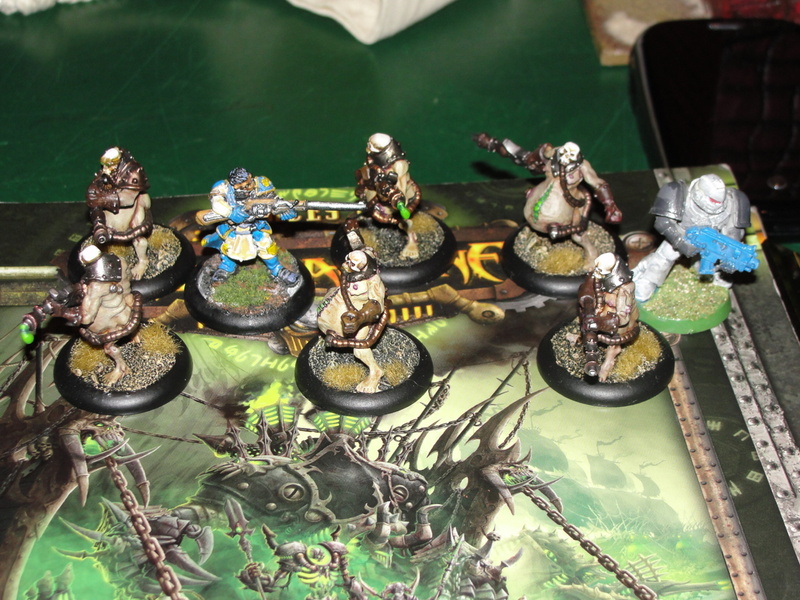 i've really come to like the models and the really fast paced play of the game. i've built up quite a cryx army and starting today and for the next few days, i'll be updating little mens with some photos of new stuff and maybe even a how-to! hopefully i'll have these completely painted this evening and ready to be based! so a friend and local gamer has started this strange combination of tumblr, humor, and wargaming: hot models with fugly minis. basically, felix photographs the two fugly models above (a cygnaran long rifle and a space marine) with other models or in strange wargaming situations. like a flameguard toga party. it's a relatively new blog/thing and there are a couple of slightly scandalous (perhaps even impertinent or down right inappropriate) situations that are amusing as hell. you should spend time there. the fugly minis would want you to. a friend of mine recently turned me onto a very cool website that allows role players to organize, update, and manage the game on both the player character (pc) and game master (gm) side of the house (or screen as it were)! 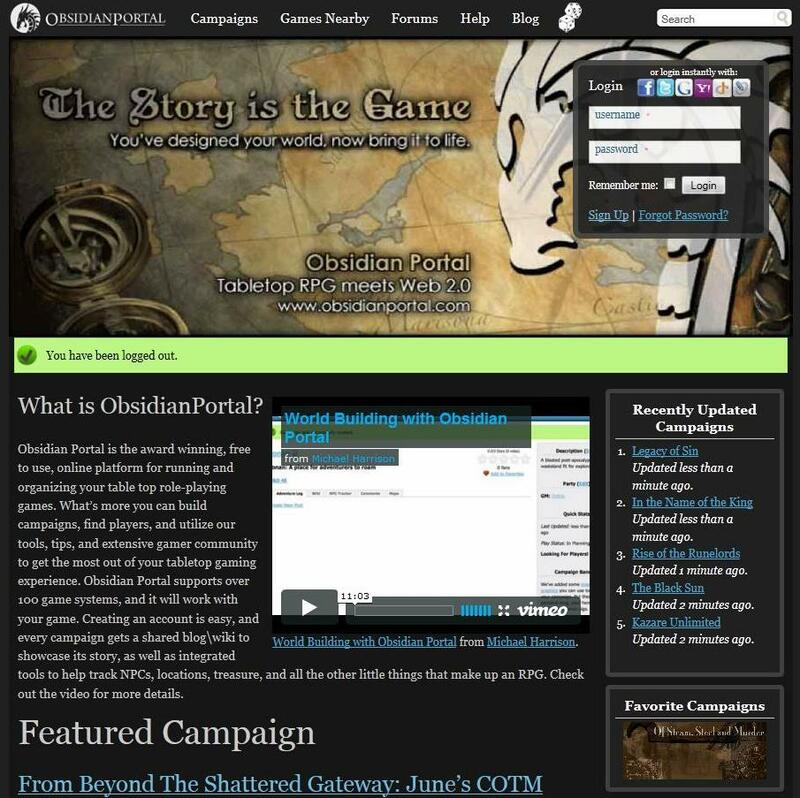 obsidian portal allows a gm to build a world and keep track of all the cool bits and bobs online. you can add maps, build out non-player characters, create and add unique items for the players, as well as continually update the wiki part of the campaign with notes, hints, and information. additionally, there are secret buttons that provide a gm with a way to share information with one character while keeping all the others in the dark, and a gm with an ipad or other tablet pc could easily have obsidian portal open and running during the adventure to keep gm-only notes, items, and npcs at their very fingertips. clever players can add their characters, complete with bios, links to adventure sights, and specialty items. the really interesting thing about obsidian portal, is that it's pretty much only limited by the imagination of the gm and players. if you're a role player at all, get your group to check it out! be safe! have fun! don't blow off any of your fingers!